University of California, Riverside (UCR) has advanced research facilities for advanced nano/microelectronics research, including many dedicated research laboratories and centers, such as, the Laboratory for Integrated Circuits and Systems (LICS), Laboratory for Terascale and Terahertz Electronics (LATTE), Mixed-Signal Nanometer VLSI Research Lab, Nano-Device Laboratory, Nanoelectronic Materials and Device Laboratory, Photonic Systems Device Laboratory, Quantum Structures Laboratory, and The Center for Nanoscale Science and Engineering (CNSE), etc. 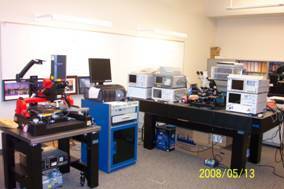 The major research infrastructure at UCR includes two cleanroom facilities. The CNSE is currently operating a cleanroom laboratory space of approximately 2,000 sq. ft. with Class 1,000 and Class 100 cleanroom space. 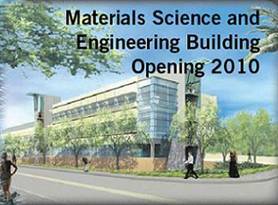 A new MSE Building, currentlt under construction and scheduled to open in 2010, is a 134,000 sq. ft. building to host a 10,000-square foot new cleanroom facility dedicated for micro/nano fabrication and research. The new MSE Building to open in 2010. The Laboratory for Integrated Circuits and Systems (LICS) is equipped with all necessary start-of-the-art tools for semiconductor devices and integrated circuits research, including Sun Fire Unix Server V880, Tektronix AWG520 Arbitrary Waveform Generator, Agilent Logic Analysis System (Model 16902), Agilent Semiconductor Parameter Analyzer (Model 4156C), Agilent ESA-E Series Spectrum Analyzer (Model E4405B), Agilent PNA Series Network Analyzer (Model N8358A), Agilent Synthesized RF Signal Generator (Model 8665B), Agilent NFA Series Noise Figure Analyzer (Model N8975A), Agilent 41501B SMU and Pulse Generator Expender, Agilent DSO81304B Infiniium Oscilloscope 13GHz/40GSa/s, Agilent 54832D Infiniium Oscilloscope 1GHz/4GSa/, Agilent E8363B ONA Network Analyzer 40GHz, Agilent E4448A PSA Series Spectrum Analyzer 50GHz, Agilent E4405BA PSA Series Spectrum Analyzer 13.2GHz, Agilent 8665B Synthesized Signal Generator, Agilent N5743A 12.5V/60A, 750W System DC Power Supply, Agilent N5747A 12.5V/60A,750W System DC Power Supply Cascade RF-1 6” RF Wafer Probe System, Suss MicroTech 8” RF Probe System with laser cutting, Cascade 8” Summit 11000 RF Probe System with low-temperature chamber and light enclosure, Barth 4002 Dynamic TLP Tester, West Bond 7372E Die Bonder, West Bond 7476D Wedge Bonder, etc. 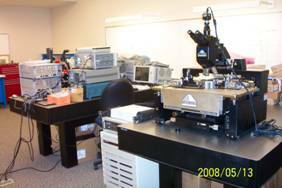 We have adequate commercial and academic CAD software for ICs and nano/microelectronics research resources, ranging from semiconductor fabrication, parameter extraction, modeling, to circuit, logic, board and system level simulation. 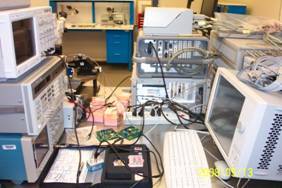 These CAD facilities equip with a complete, top-line industrial EDA tools from Synopsis, Cadence and HP/Agilent, etc. Scientific software available includes GAUSSIAN03, Linda, GAMESS, NAMD, FIREBALL, SIESTA, ABINIT, PWSCF, and NEMO1D. Utility software includes the Portland Group CDK cluster development kit, OpenPBS, MPICH2, PVM, Intel MKL (Math Kernal Library), BLACS, PBLAS, LAPACK, ScaLAPACK, and Atlas. We also have plenty of computing power to support both research and teaching in the field of micro and nano electronics. 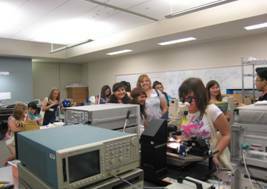 Within 50 miles of UCR campus, there are many advanced research facilities located at UCLA, CalTech, UC San Diego, and the NASA JPL, etc, which are available via research collaboration.